Product prices and availability are accurate as of 2019-04-22 07:55:34 EDT and are subject to change. Any price and availability information displayed on http://www.amazon.com/ at the time of purchase will apply to the purchase of this product. AST5706 Features: -Air Inlet: 1/4" npt. 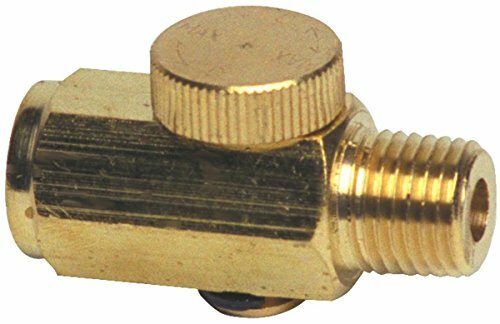 -Air Outlet: 1/4" nptThis brass air regulator increases or decreases air pressure as desired.. -Brass Air Regulator. Dimensions: Overall Height - Top to Bottom: -1 Inches. Overall Width - Side to Side: -3.55 Inches. Overall Depth - Front to Back: -5 Inches. Overall Product Weight: -1 Pounds. Air Inlet: 1/4 npt. Air Outlet: 1/4 npt. Dimensions: 5 L x 3.55 W x 1 H. Package Quantity: 1 Excellent Quality.